Camp Basil Jones is aimed at educating at risk youth on the importance of the environment, and this summer they are wrapping up its 4th annual event. The four-week program is a collaborative effort between Green Reef, San Pedro House of Culture, Hol Chan Marine Reserve and the Department of Youth Service. 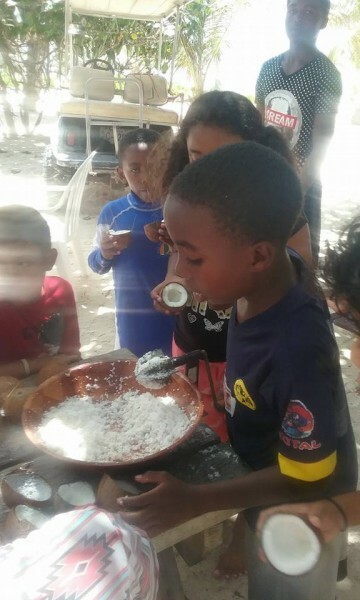 Each week of the program, up to 20 children travel to the Basil Jones Educational Center in the Bacalar Chico Reserve, North Ambergris Caye, to take part in fun, educational learning activities. Lead organizer, Guillermo “Mito” Paz believes the camp is an excellent opportunity to promote the need for a healthy marine ecosystem. 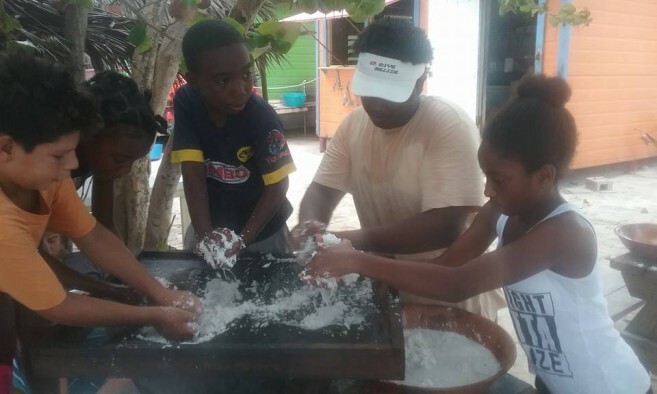 “The Summer Camp gives young people in rural communities, and inner city youth, an opportunity to experience and learn about Belize’s natural resources. The program aims to promote conservation and preservation of the Belize Barrier Reef as we work towards youth empowerment in Belize,” says Paz. Since its inception in 2014, Camp Basil Jones targets youth from some of the more impoverished areas in Belize City and other parts of the country. It is the organizers hope that this experience will enlighten the children to reduce the chance of them going astray and ending up in gangs or as criminals. At risk youth are considered to be children “likely to affiliate with gangs or engage in criminal activity; come from communities that have high rates of poverty, crime, unemployment, or teen parenthood; or live in areas with low high school graduation rates or low parental education levels”. 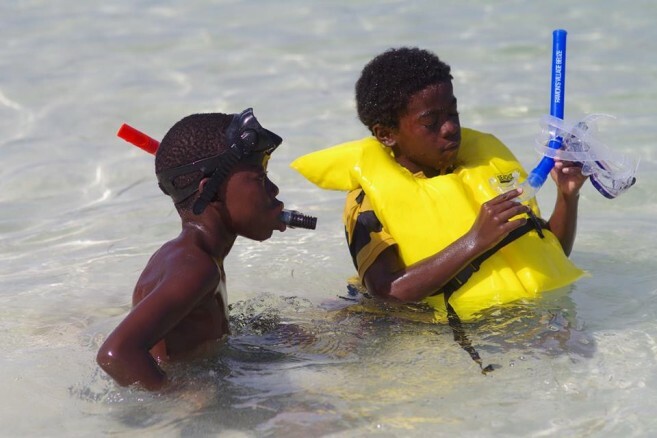 Some of the activities at the camp included morning exercise, swimming, beach volleyball, football, basketball, kayaking, snorkeling, campfire, arts and craft, nature trail hiking, sea turtle beach clean-up, and traditional games like hopscotch, skipping rope, hide & seek, storytelling, poetry, dance and acting. For many of the participants, some of these activities are a first, as they have never had the opportunity to partake in such an experience. Organizers would like to extend a big thanks to all those who made this camp possible: Protected Areas Conservation Trust, Blackadore Caye Development, Oceana in Belize, National Institute of Culture and History, Hol Chan Marine Reserve, San Pedro House of Culture, Green Reef and the Department of Youth Service.